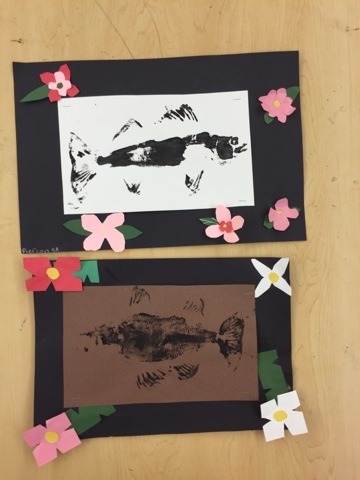 Students learned about Gyotaku, the traditional Japanese method printing fish, in art class. 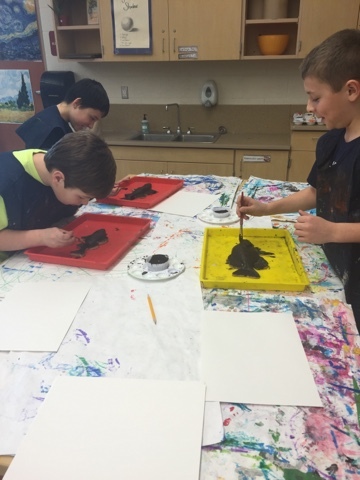 They created a monotype print of some fish and learned the purpose in history for this nature print. 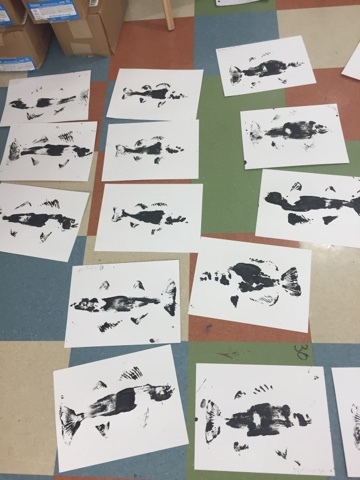 Fisherman were able to record size, shape and texture of the fish which became a popular style of nature printing. 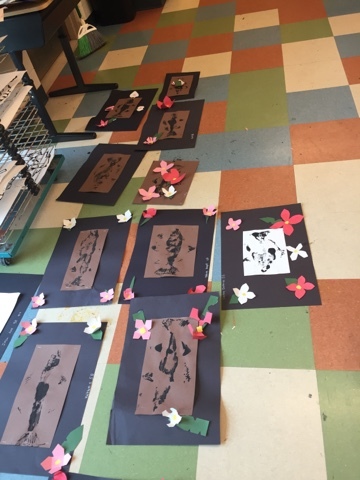 We talked about the significance of cherry blossoms in the Japanese culture and decorated our prints with our own paper cherry blossoms.